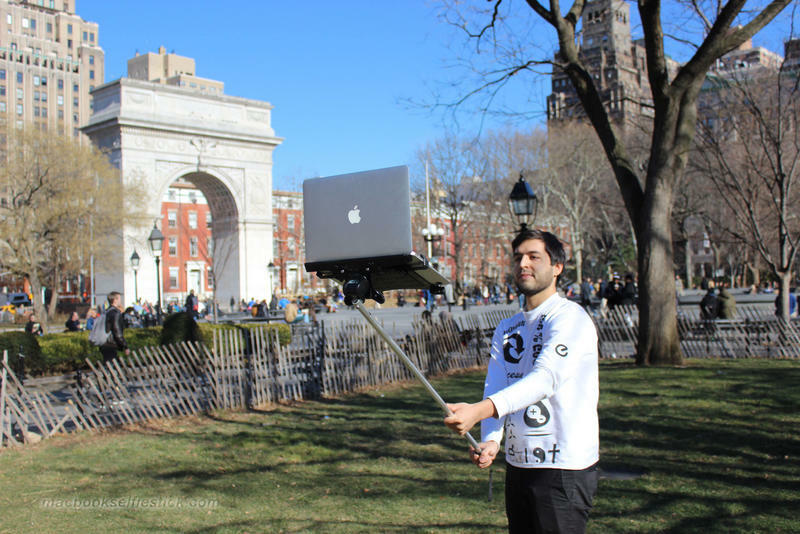 I’ve seen some really dumb things in my life, but this takes the cake. 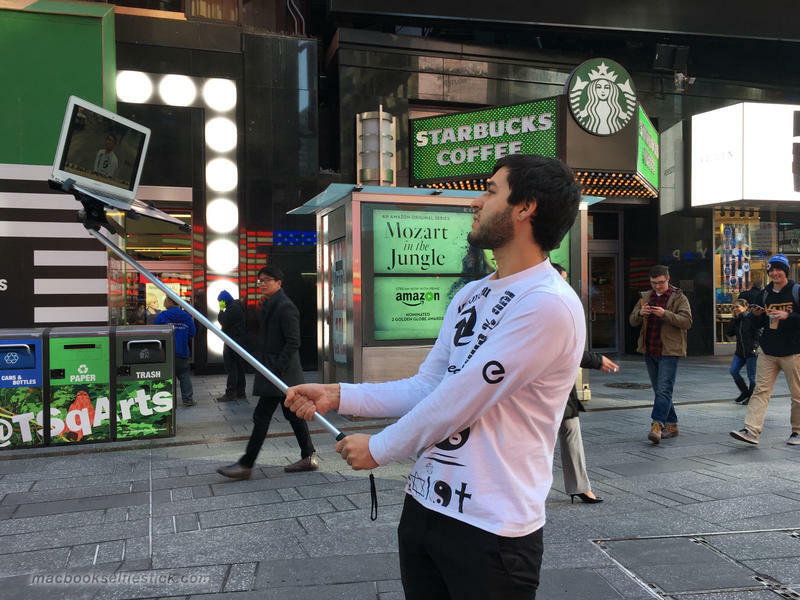 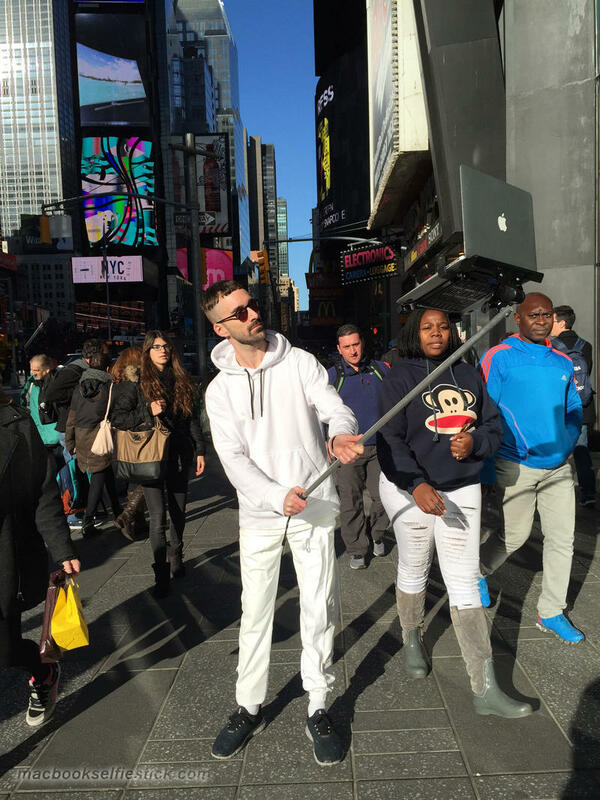 Selfie sticks are, on their own, painfully awkward to look at. 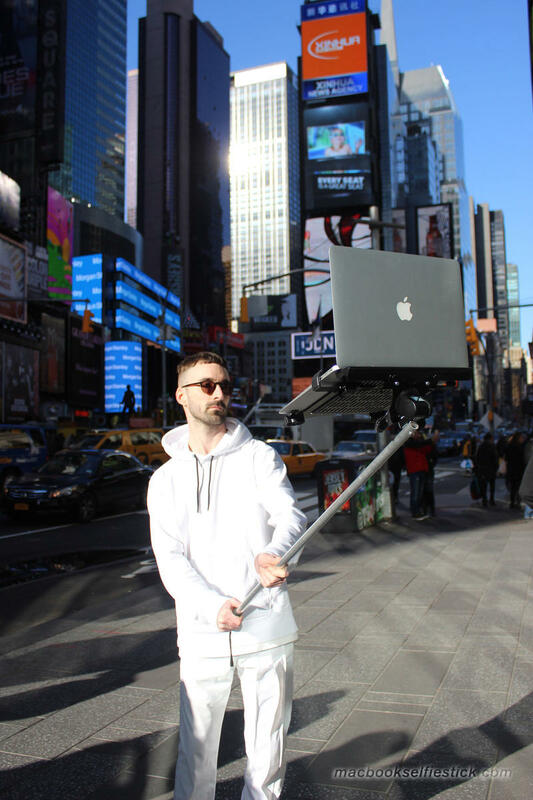 The only redeeming quality is that the photos you can snap actually turn out pretty cool, so I can understand why people will risk looking like a bozo for a good selfie. 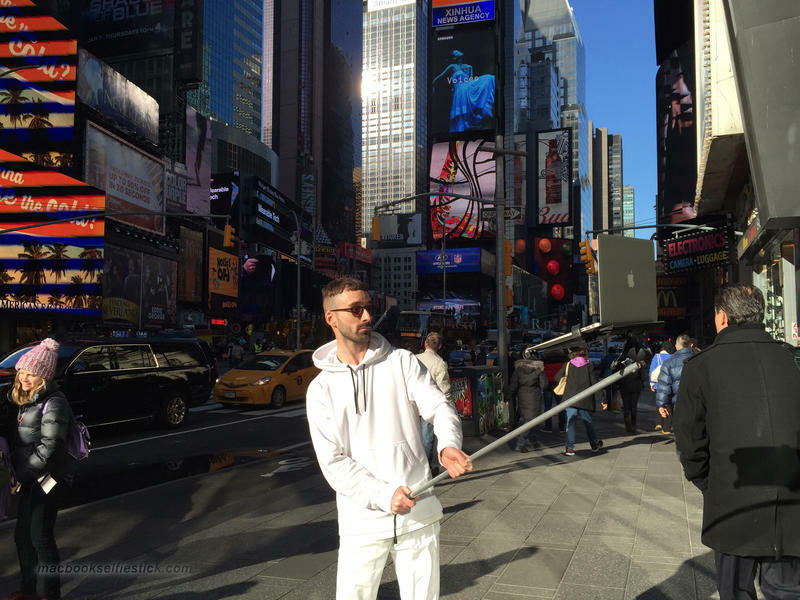 Two artists took that trend and made it even more obscene. 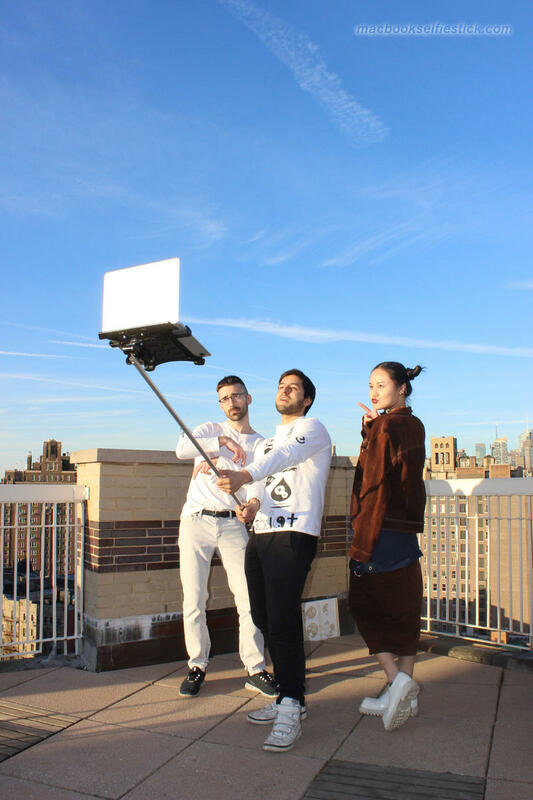 The Huffington Post recently published the above gallery of photos snapped by Art505 (Moises), John Yiyi and Tom Galle, artists who have decided to reveal the inanity of snapping selfies by taking it to the absolute extreme. 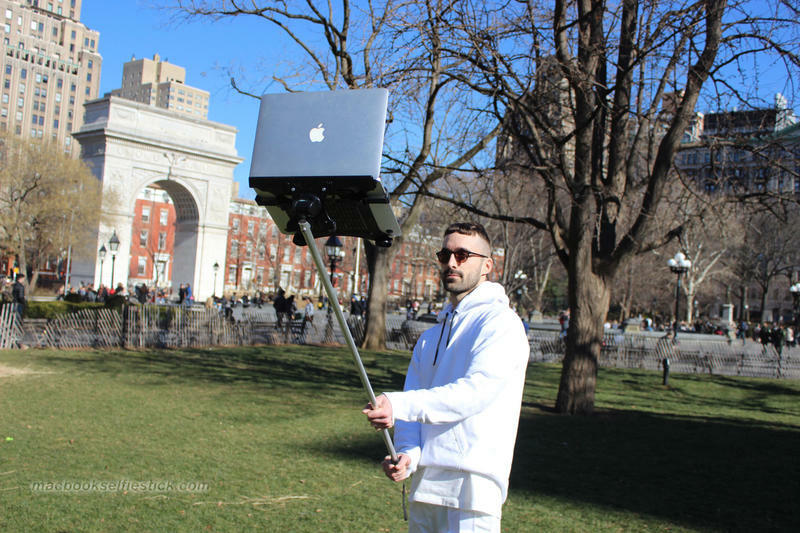 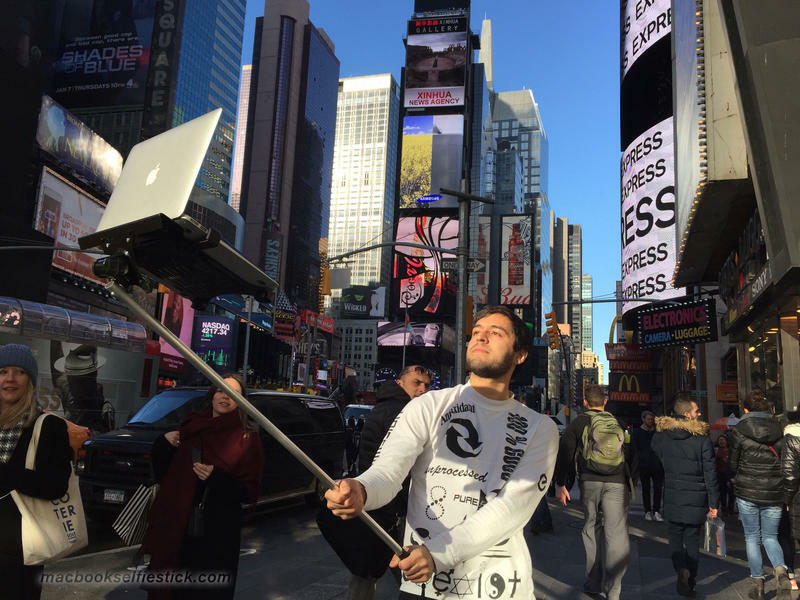 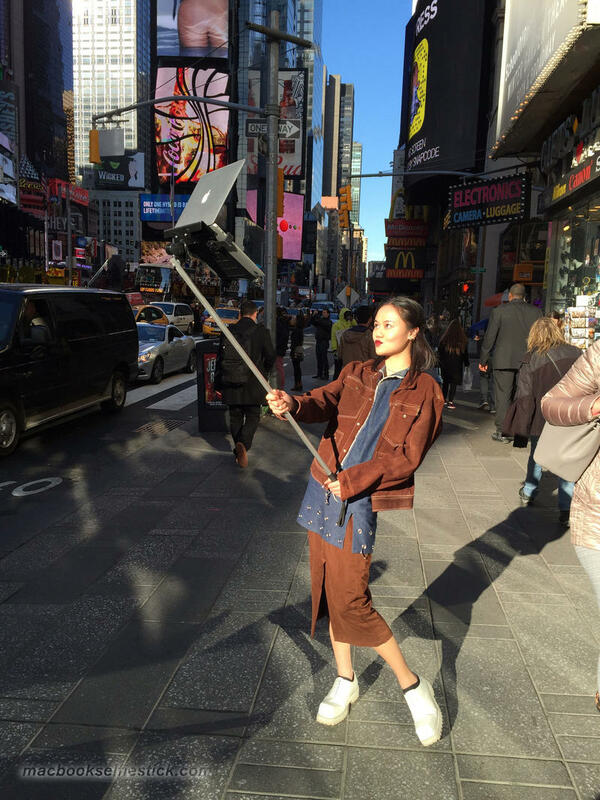 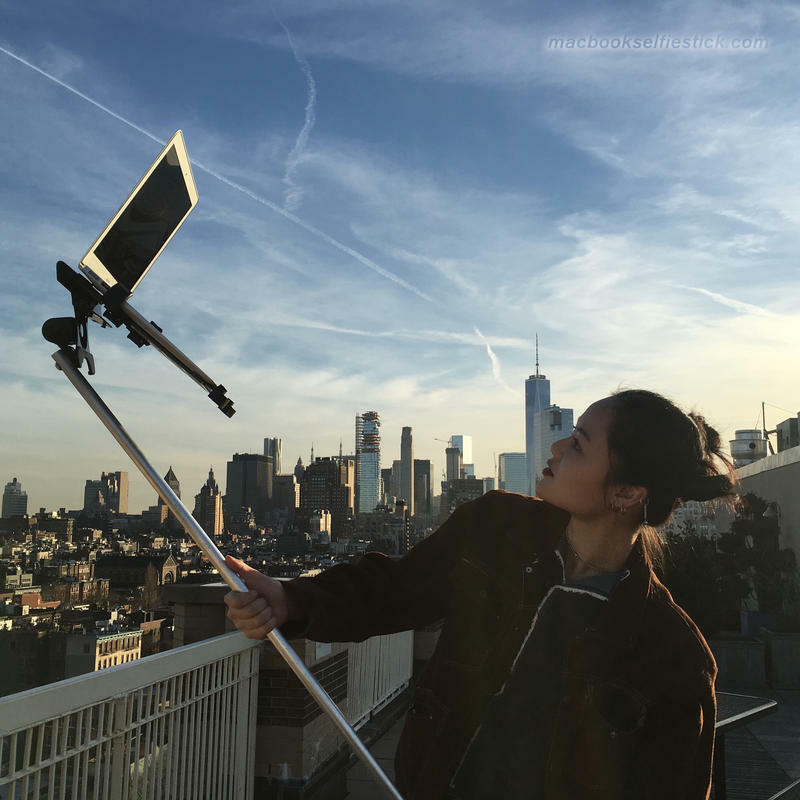 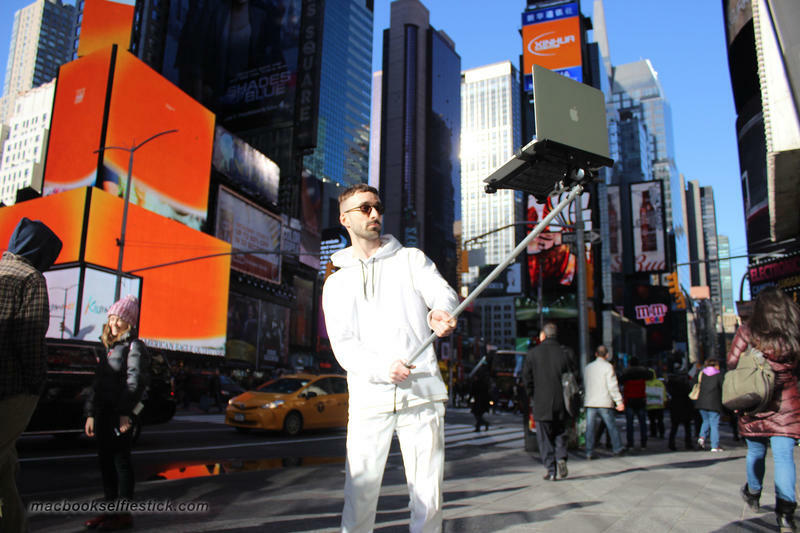 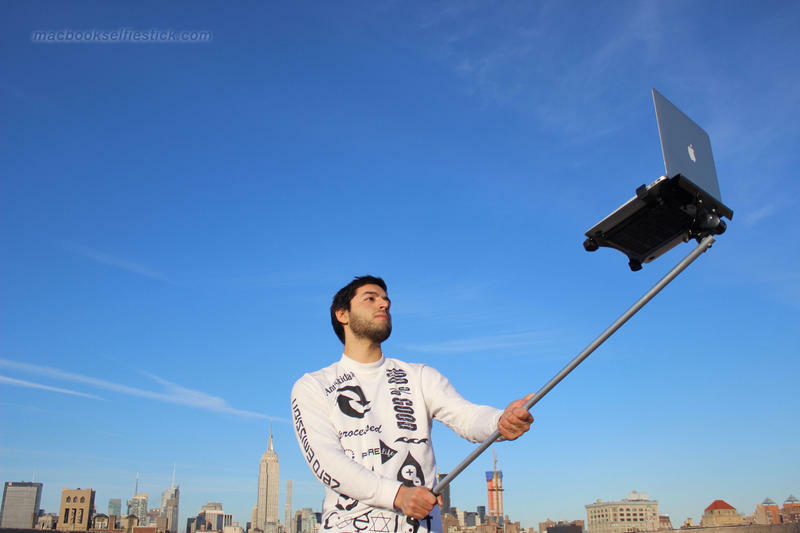 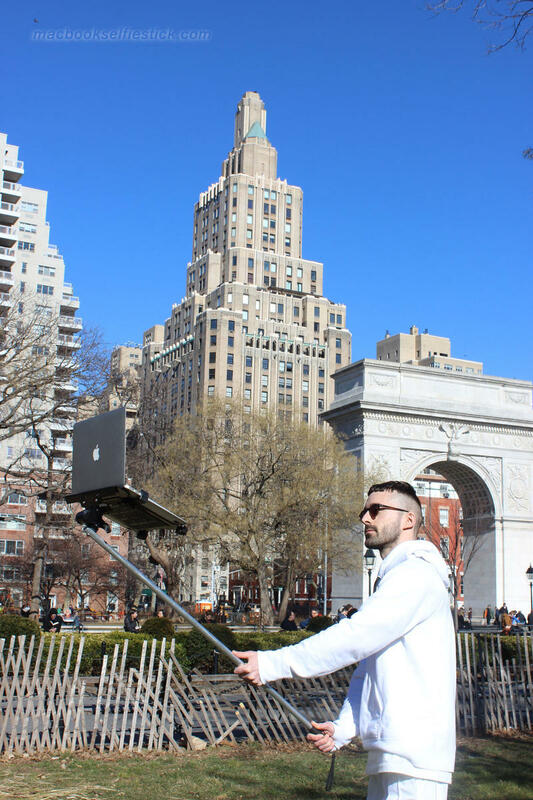 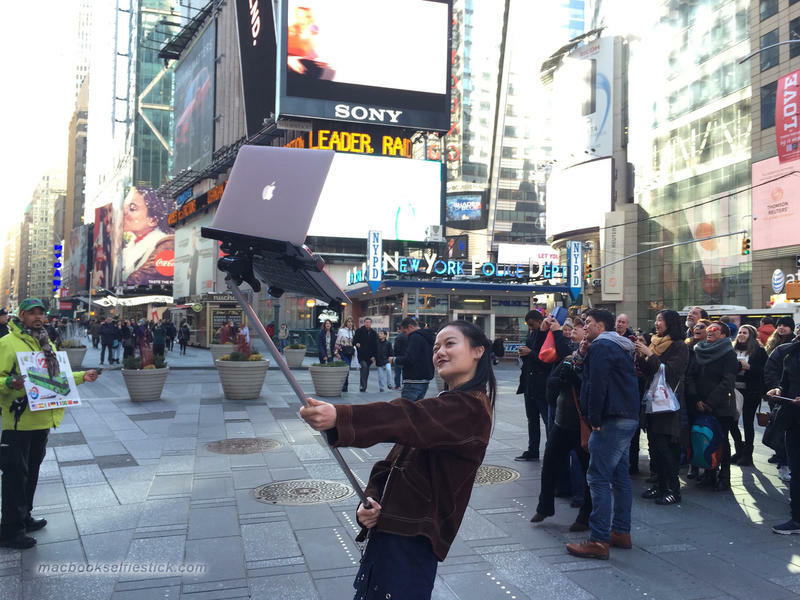 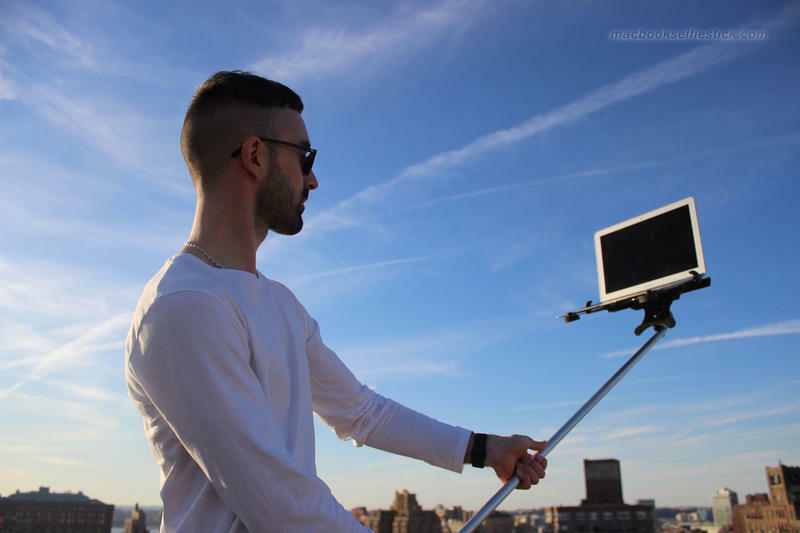 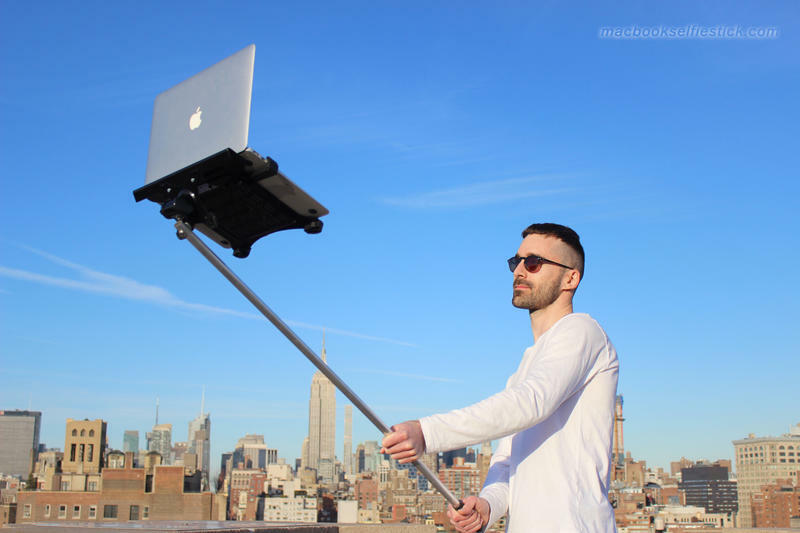 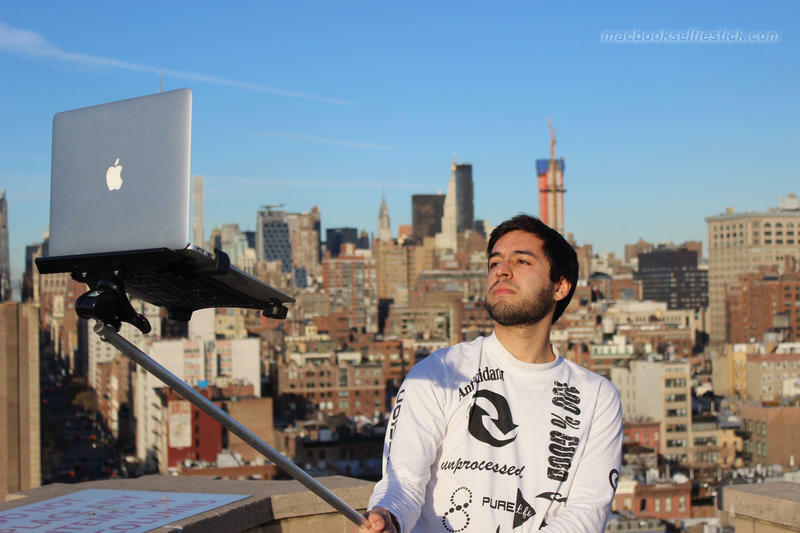 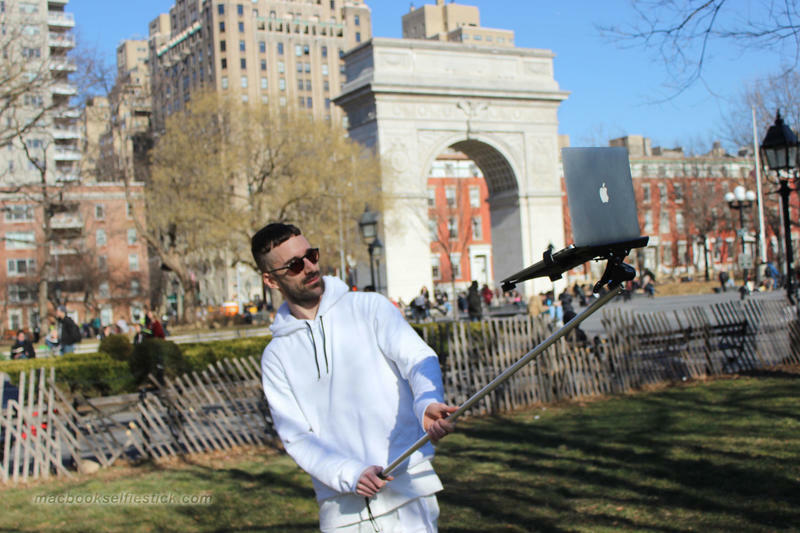 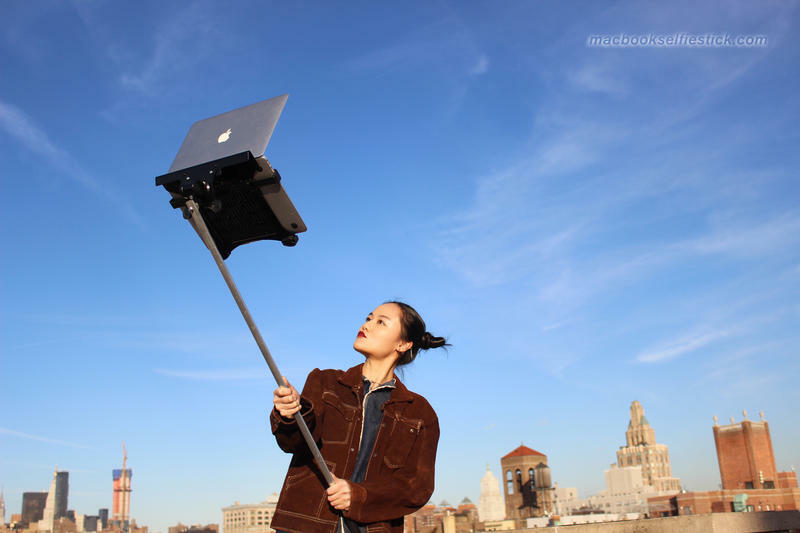 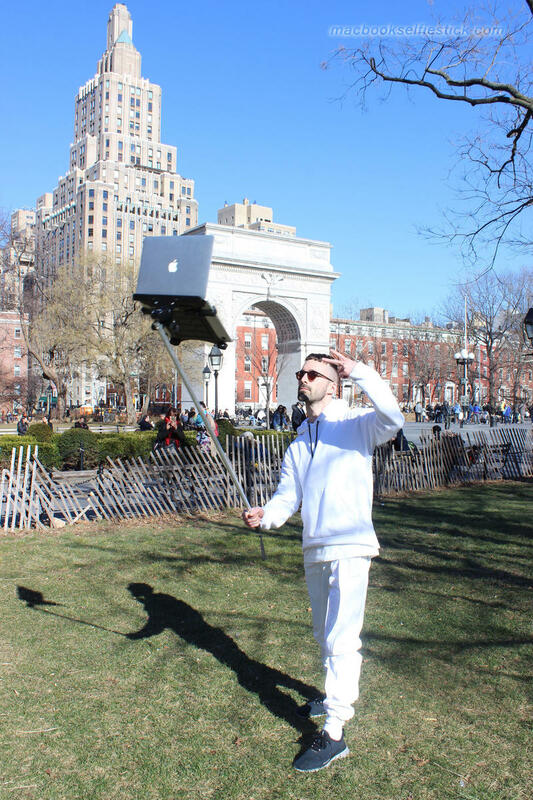 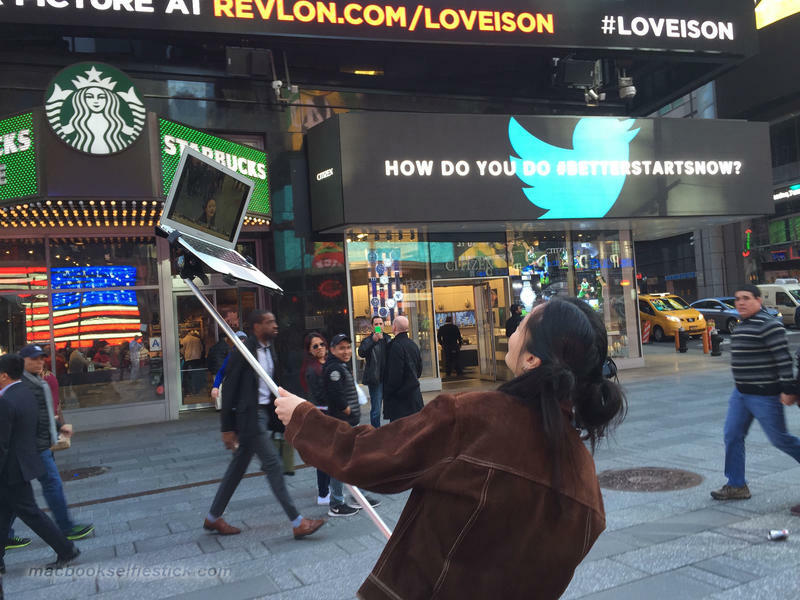 What you see is a selfie stick capable of holding a MacBook – as if folks taking photos with iPads wasn’t bad enough. 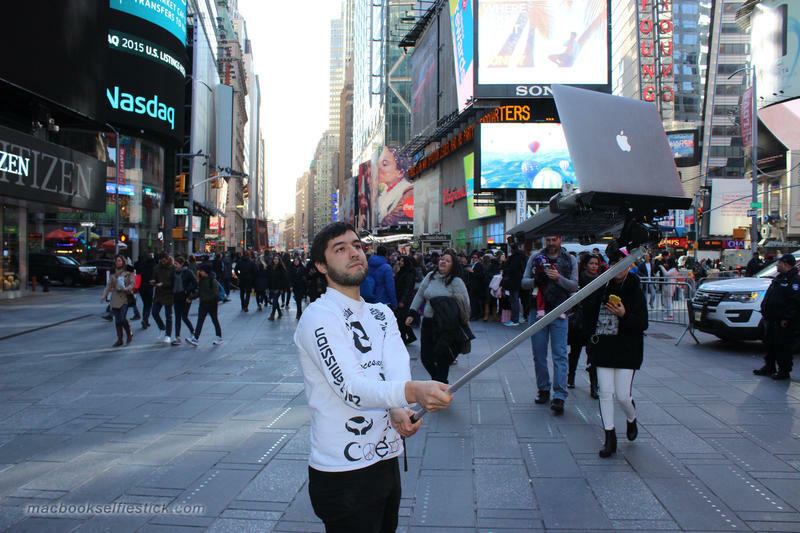 The pictures were snapped all over New York City – in a park, in Times Square, in crowded places. 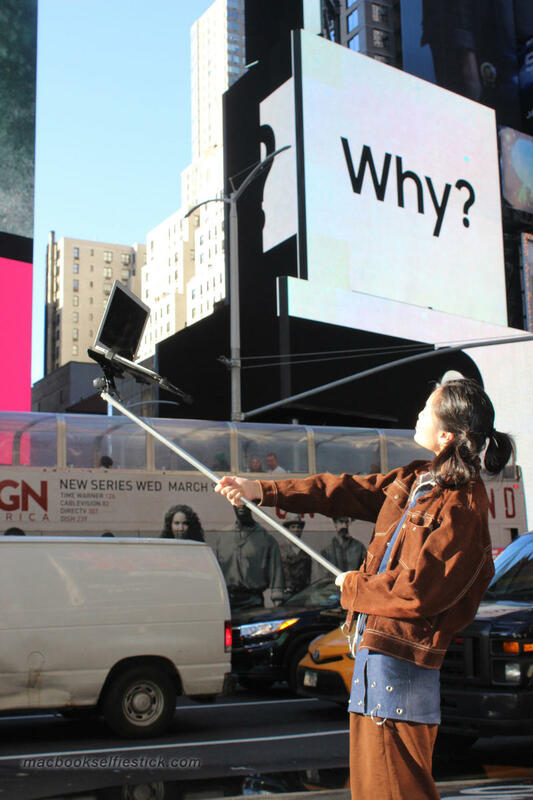 They’re silly and we’re glad this is just an art project. 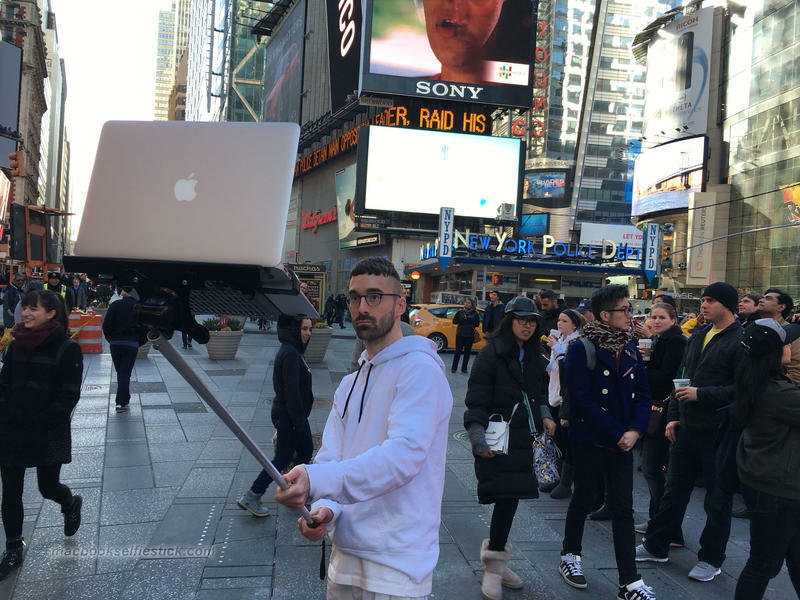 Can you imagine if anyone ever did this seriously? 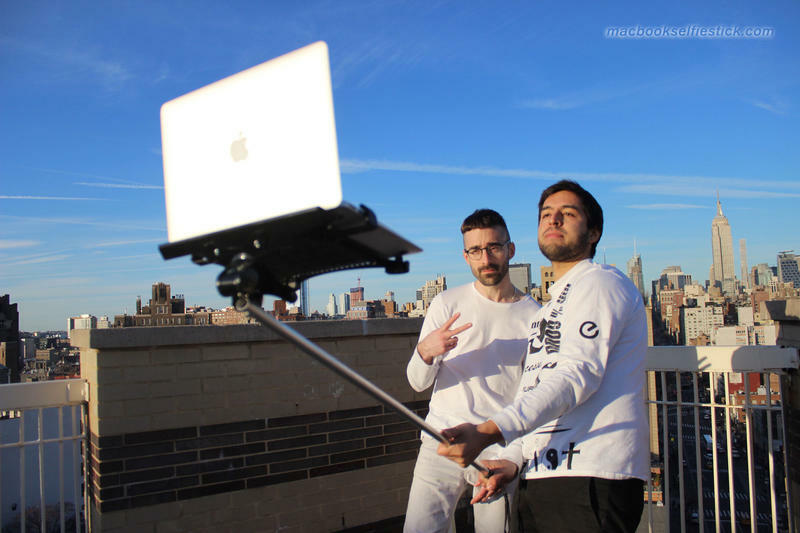 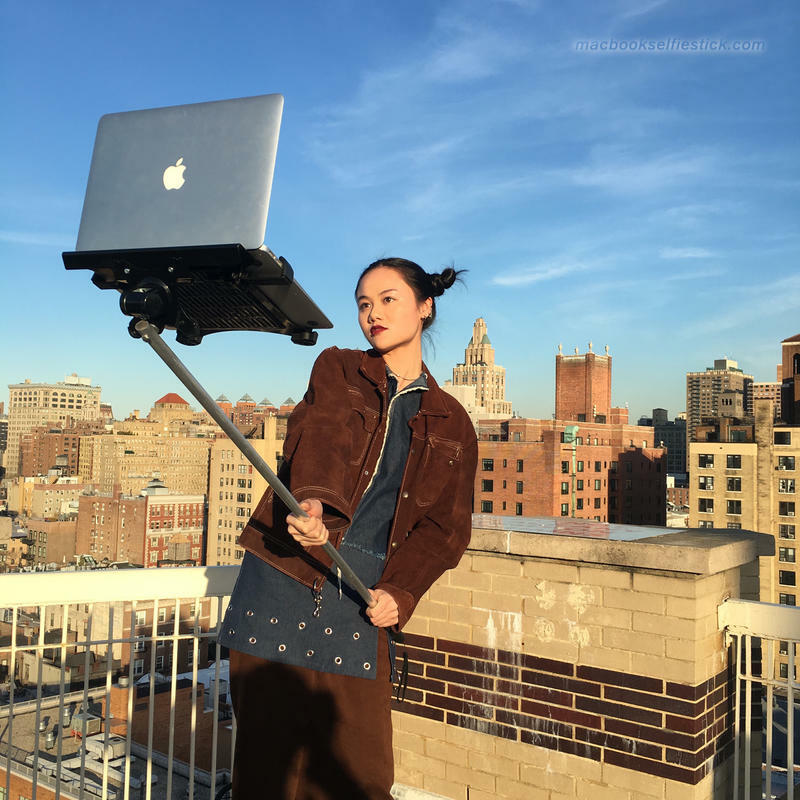 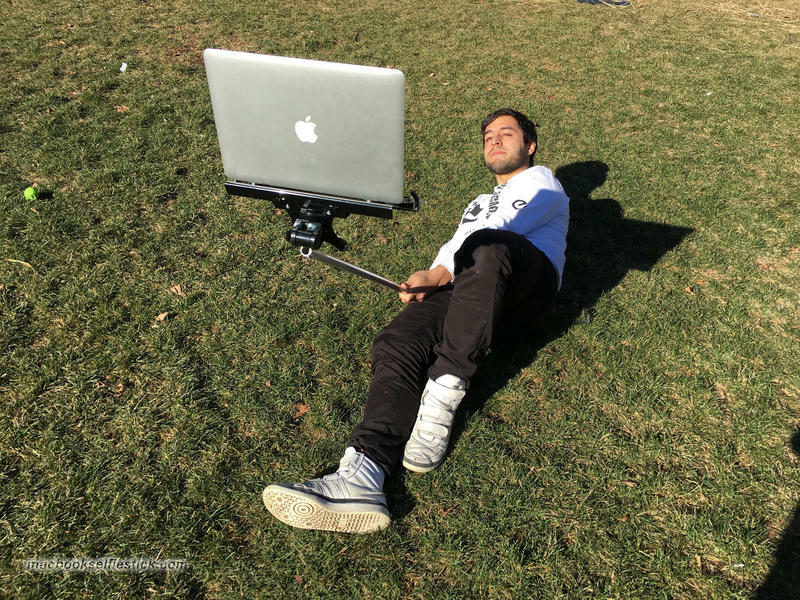 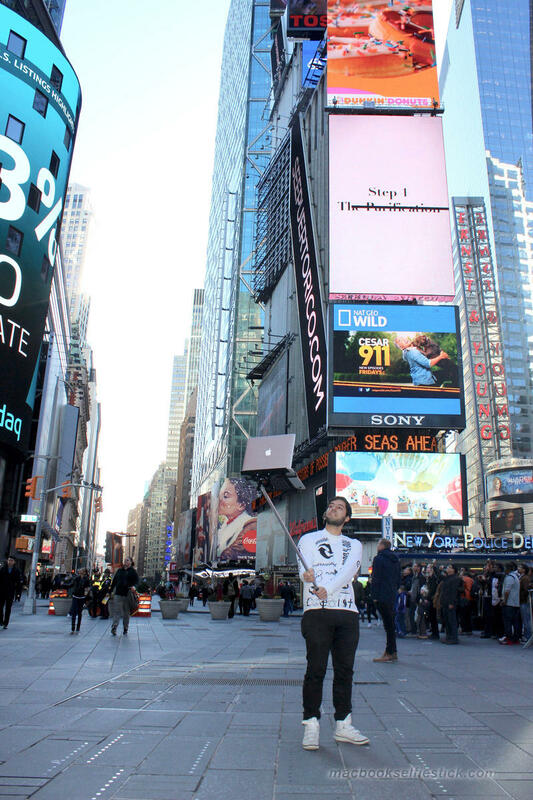 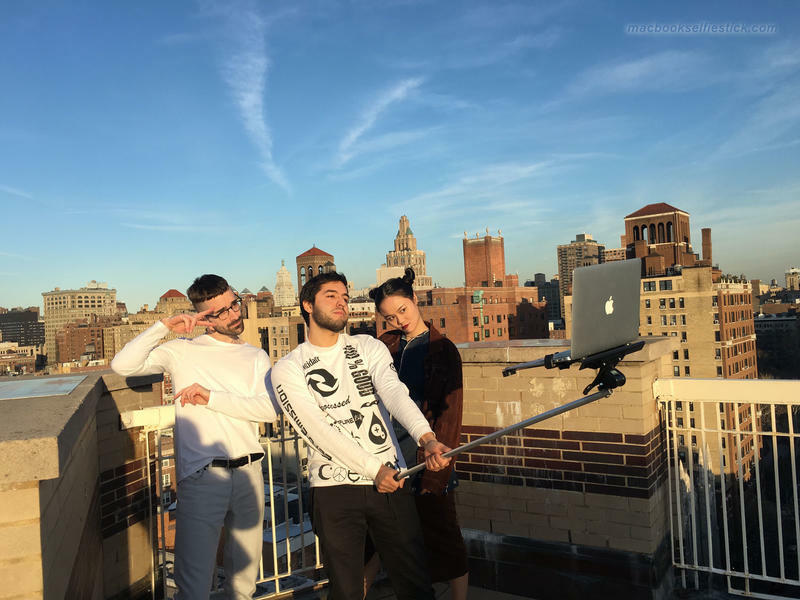 Check out the project by visiting MacBookSelfieStick.com or tapping the source link below.